Nadia is a BC certified career development practitioner, a diversity consultant, a certified teacher, and a registered clinical counsellor. Since 1989, she developed and facilitated career search and career development workshops for government funded organizations, school districts, and universities. She also coached individuals privately. Nadia started her career development path as a program coordinator at the International Council for Adult Education in Toronto. She also volunteered as a program assistant for Movement for Canadian Literacy. Later Nadia became employment programs manager at the Community Services department at Toronto Board of Education. She also acted as a cultural liaison, multicultural consultant, and inter-faith facilitator. Furthermore, she developed a series of workshops to create awareness around some important immigration/work related issues. Simultaneously, Nadia volunteered to offer community services for various ethnic groups in general and new immigrants in particular. Nadia's work as a translator and an interpreter for the Immigration and Refugee Board broadened her multicultural awareness of current issues among various ethnic groups in BC. 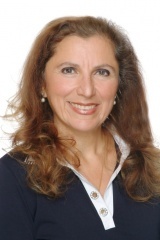 In addition to Canada, Nadia taught and facilitated career counselling as well as community building in countries such as Spain, Turkey, Cyprus and Egypt. She has a strong passion to assist others to discover their unique skills and passion for a career path. Nadia believes that work becomes a source of joy and health when it is done with passion as a service from the heart.